FESPA Asia (also referred as Asia Print Expo) 2019 will be a key event for Asian print service providers to source the latest equipment, software and consumables in one vibrant location, and to interact with more than 5,000 print professionals. The event will focus on wide format digital, screen and textile printing, and it will take place at Bangkok, Thailand on 21st – 23rd February 2019. 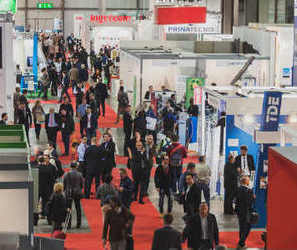 It is the region’s leading event for printing and signage industries with more than 100 exhibitors representing the latest innovations in large format digital printing, textile printing, screen printing, garment decoration, signage, print software and consumables. Asia Print Expo 2019 is a must-visit if you are an international or local printer, a designer, print buyer, retailer, interior designer, fashion brand or print professional. It offers the very latest products, innovations and information from over 200 brands.